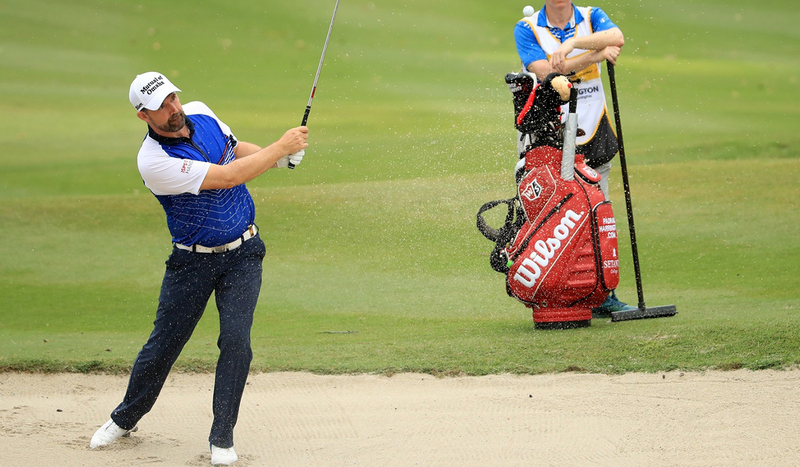 Golf chiropractor Shane Lawlor – who has worked with Padraig Harrington, Henrik Stenson and Shane Lowry – discusses the ‘X-factor’ swing and the importance of strength and conditioning. Tiger Woods and Rory McIlroy are renowned for their picture-perfect X-factor swings and incredible distance off the tee. 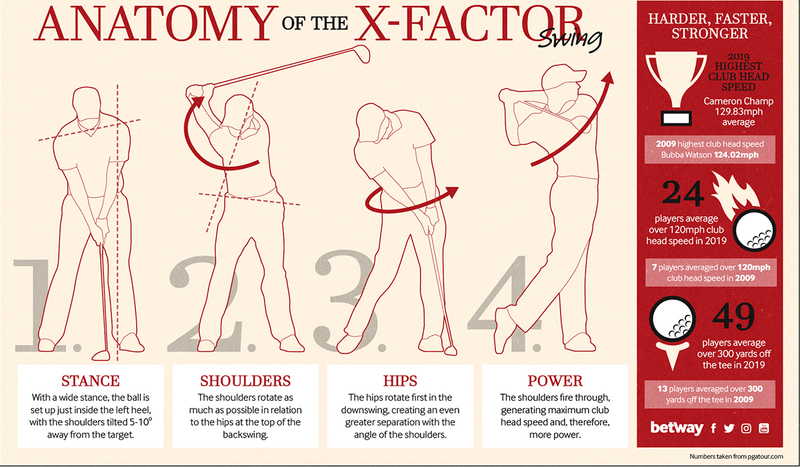 The X-factor swing generates the extra distance by rotating the shoulders further in relation to the hips, creating more wound-up potential energy, resulting in a more explosive downswing. But Woods and McIlroy have both struggled with back injuries in recent years. Is golf’s X-factor swing to blame? I’m not against the X-factor, but it needs to be worked on between the strength and conditioning coach and a medical practitioner. If the player physically can’t get there then you have a problem. Is it young players who are most at risk? The trend now is that if you’re 18 or 19 years of age and you can’t hit it over 300 yards you’re at a severe disadvantage. I would be interested in seeing what will happen in the next five to 10 years. If they’re not physically ready, if they’re swinging much harder with such high club head speed, I don’t know if their careers will be as long. The analogy I would use for a young kid is if you put a Ferrari engine in a Micra, it’s not going to work very well. What conditioning should players concentrate on? The right strength and conditioning training is an absolute necessity. You need to make sure you are mobile and stable, and your body is able to withstand those forces. 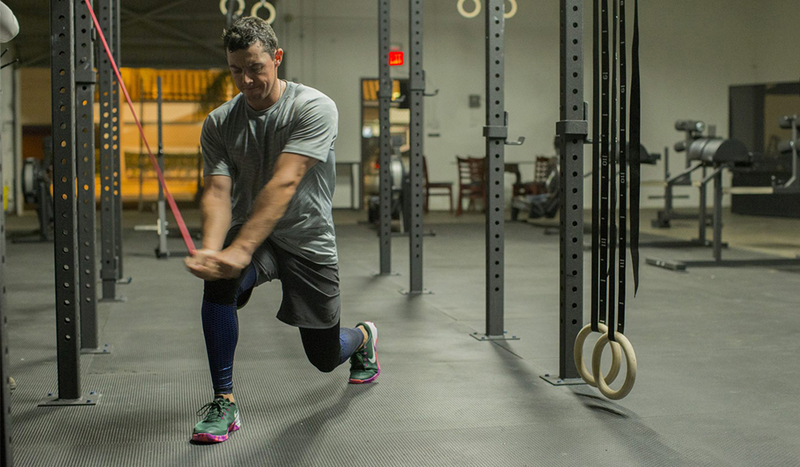 You don’t need golfers to be massive powerlifters, but they need the ability to move their joints at speed. Is there a quick fix for getting players into the right shape? The good players see that it’s a process. It’s not going to take six months. It’s the small incremental stuff that won’t help if you do it for one season. It’s about doing it over a career. What are the long-term benefits of taking conditioning seriously? Padraig (47) is fitter now than when he was at 20. He’s a totally different animal. I think he’s going to do really well on the Champions Tour. That’s the change we’ll see. With these guys that are now fitter at 49 or 50, it’s going to be really competitive.